The average body temperature is normally within a degree of 98.6 degrees, assuming you’re healthy. But when you’re a doctor trying to diagnose one specific patient, an average temperature from the whole population is imperfect at best. This is 2016, so let’s fix that problem with smartphones! 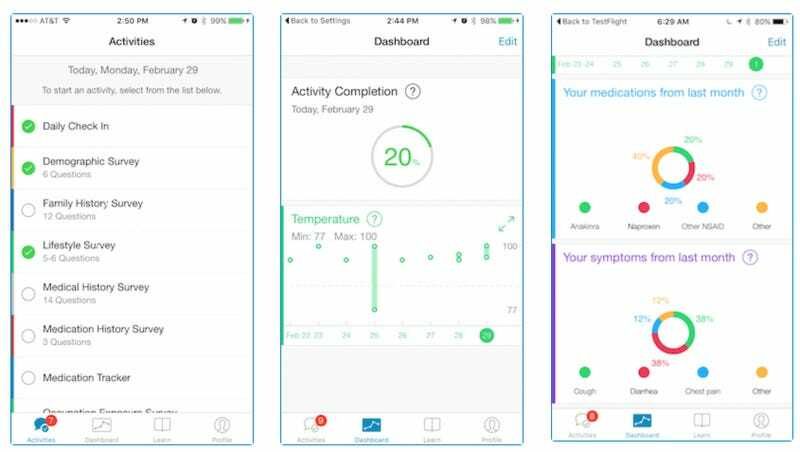 A team from the Boston Children’s Hospital has used Apple’s new ResearchKit framework to create Feverprints, an app that’s supposed to encourage users to collect data about their normal day-to-day temperature, and feed that information back to researchers. “We want to help create a better understanding of the normal temperature variations throughout the day, to learn to use fever as a tool to improve medical diagnosis, and to evaluate the effect of fever medications on symptoms and disease course,” said Jared Hawkins, one of the app’s creators. The app doesn’t read temperature for you, or even connect to a thermometer to ensure accurate readings. Rather, it reminds users throughout the day to use a conventional thermometer to log information about their temperature, medications, lifestyle and health. The team promises that data will be stored anonymously, although you might still have second thoughts about handing over your vitals to an internet-connected server.